Biography: Murat Cemcir was born in Tokat. He made his debut with his role in Calgi Cengi. He is interested in horse riding and Wing Chun. He became a good partner with Ahmet Kural after they took part in the same movie Calgi Cengi and then, worked together in various projects. Biography: Ahmet Kural took part in theatre plays while he was going to high school. 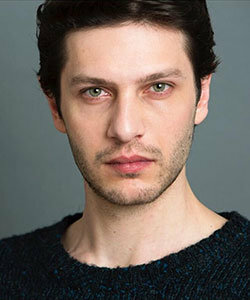 After graduating from Selcuk University, he took acting lessons at Mujdat Gezen Art Center Actor Studio. While he was stuying, he took part in Levent Kirca-Oya Basar theatre. Biography: Oner Erkan was born in January 4, 1980 in Izmir. He took theatre lessons while he was going to high school. Oner Erkan started his TV career by presenting a child program on TV. He worked as a dancer at Istanbul City Theatre during 2002-2004. After then, he took part in various theatre plays at Oyun Atölyesi. 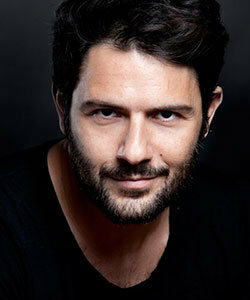 Oner Erkan won best actor award at 2009 Golden Orange Awards with his role in the movie Bornova Bornova. Biography: Kubilay Aka took acting lessons after he graduated from the university. He was discovered while he was working at the airport. He took attention of Ufuk Ergin and then, found himself in the audition of Wounded Love. He made his debut with his role as Ali Kemal in popular Turkish drama Wounded Love (Vatanim Sensin).